We are all on the road. Bubba doesn’t know where or why but he is doing a lot of guessing. He should just enjoy the ride. We left Park City and continued on our way. We made an overnight stop in Rifle, Colorado. Colorado is a BIG place. The mountains are big, the ranches are big and the cows are big. 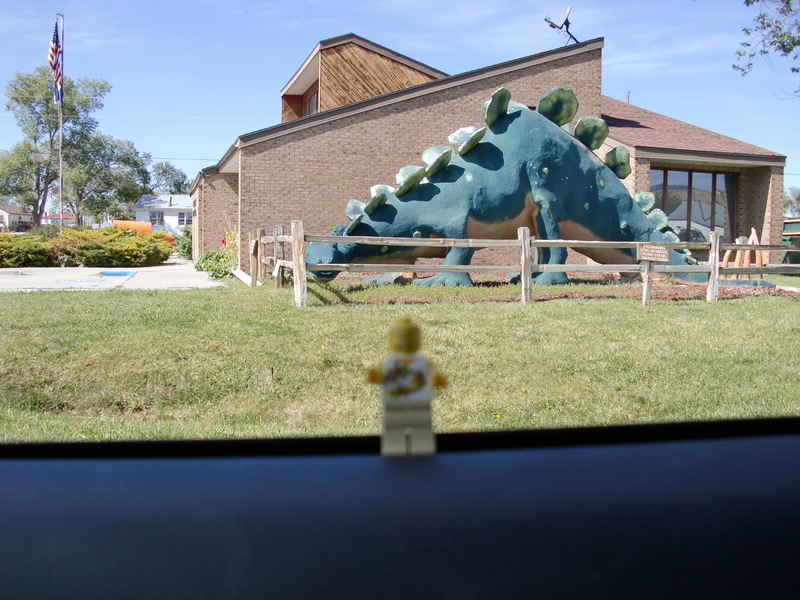 That cow was in a corral outside Dinosaur Colorado. They don’t want to do much in the way of stopping on this trip. They are headed east at a fast clip. Finally we did make a stop on the top of Lookout Mountain in Golden, Colorado. Lookout Mountain gives a great view of thirty-two states. 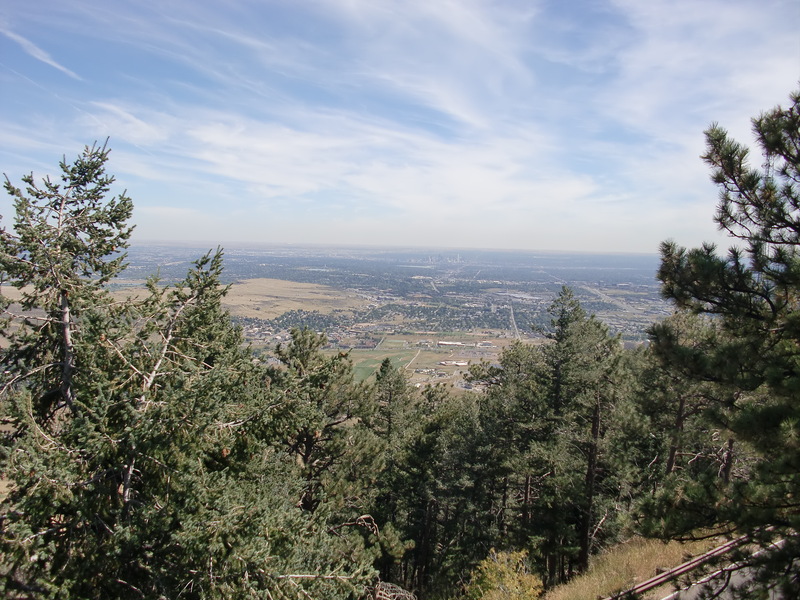 Lookout Mountain boasts that seven states, not thirty two, can be seen from its summit. However many, it is a wonderful view, with the Denver skyline in the distance. Rick didn’t want to stop in Denver because he was afraid it didn’t have any real beer, only some apple juice looking stuff called “Curse” or “Kerrs” or something like that. 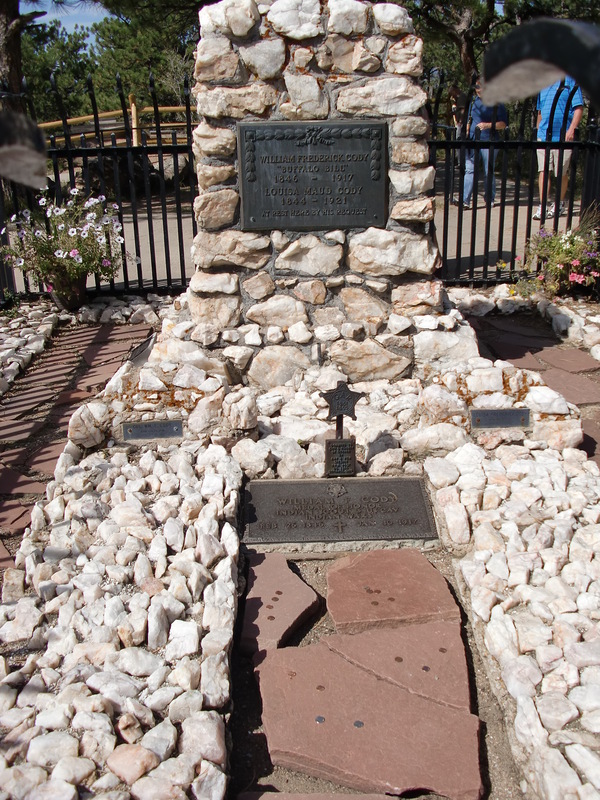 While we were on the mountain, we did stop at Buffalo Bill’s gravesite. There are still people trying to get him to move to Wyoming, but he doesn’t seem to want to go. His grave marker even notes that he lies there “by his request”. I’m guessing his real request was probably to remain upright and above ground. 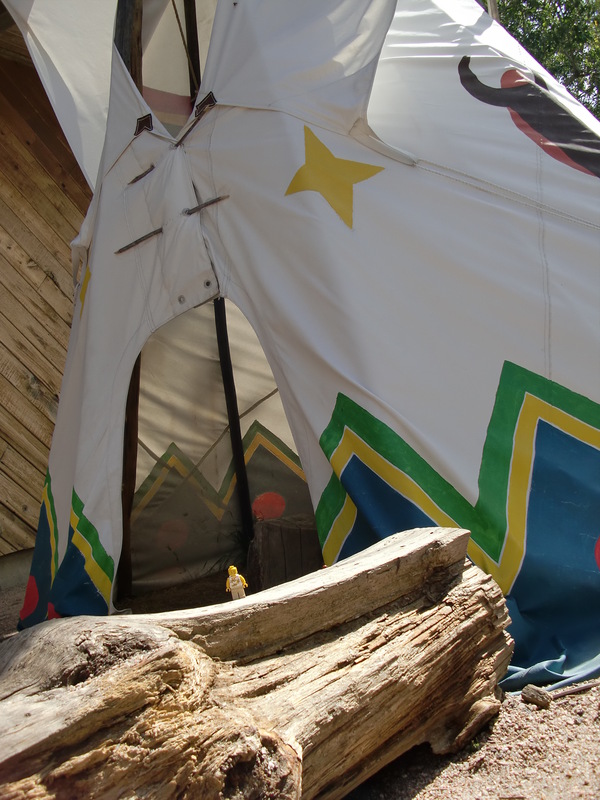 I wanted to spend the night in these luxury accommodations but it was still early and we had to press on. 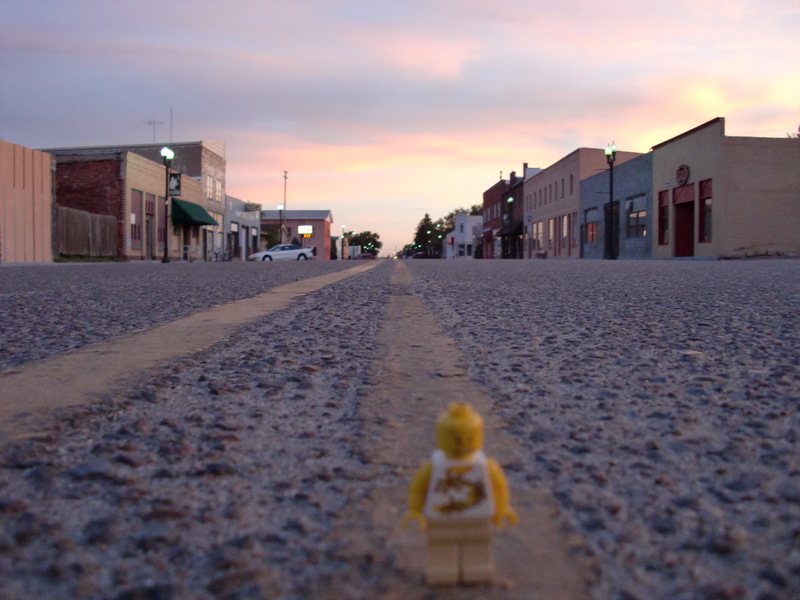 We raced on towards the Kansas Border, only stopping at dusk in the booming metropolis of Stratton, Colorado. 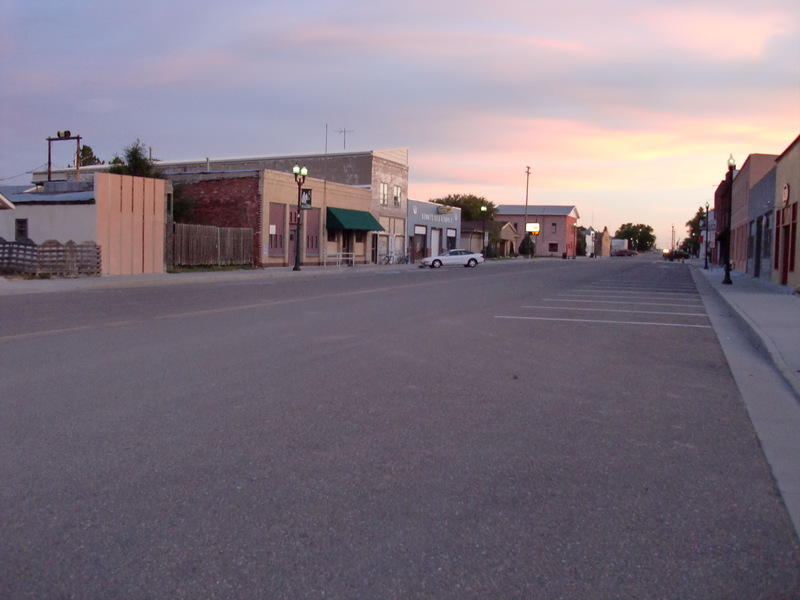 This being Saturday evening, we were a little worried about heavy weekend traffic on Main Street. Maybe we didn’t have to worry so much. Maybe we didn’t have to worry at all. We walked the whole of Main Street from the freeway to the Railroad tracks and didn’t see anyone except a strange bearded man who followed us for a bit. For every three steps forward, he would take one step sideways. His disappeared somewhere near the bar. It was eerily quiet. I couldn’t see anyone around. Off in the fields next to the town I thought I could hear a low chanting. Should I go into the corn fields to investigate? I had a growing hunger but it wasn’t to be the star of a slasher movie so I passed on that. We decided to get something to eat instead but had a little trouble choosing. There was the Eagles Landing Bar that closed at eight o’clock, the VFW, and The Golden Prairie Inn. 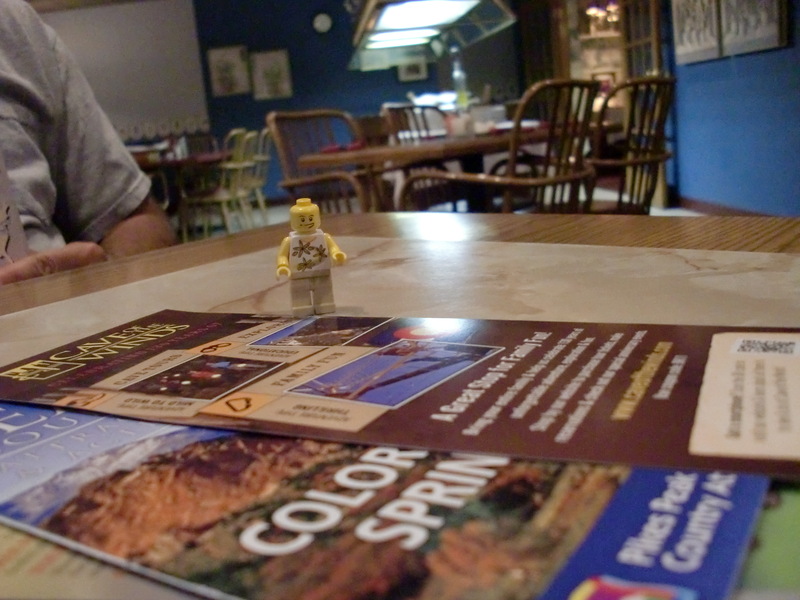 We chose the Golden Prairie because it was next to our hotel. We were met by the entire staff of two, who were outside chatting and awaiting the arrival of a customer. 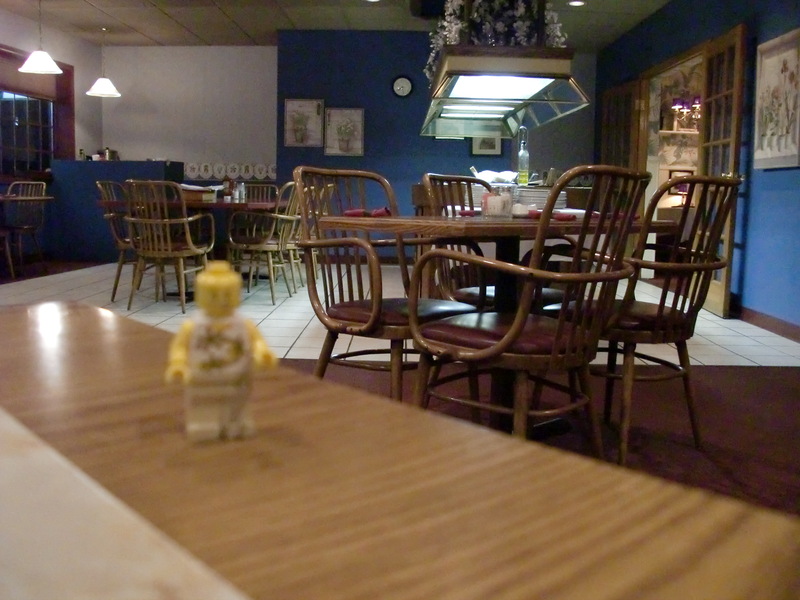 We were shown to an empty table in an empty restaurant. I picked up some travel brochures to try to guess where we were headed. The top one warned of the effects of eating at any other restaurants. When we got back to the room, I looked at the map. We seemed to be headed toward Missouri. Rick and Spider found me in Missouri about a year ago. Were they taking me back to dump me off? Were they tired of my occasional bouts of misbehavior? Maybe I shouldn’t have run over the Policeman in Paris or run from the one in Pisa.